A sea-faring adventure awaits you at blairgowrie's "hidden treasure"! Outside pets welcome with approval. 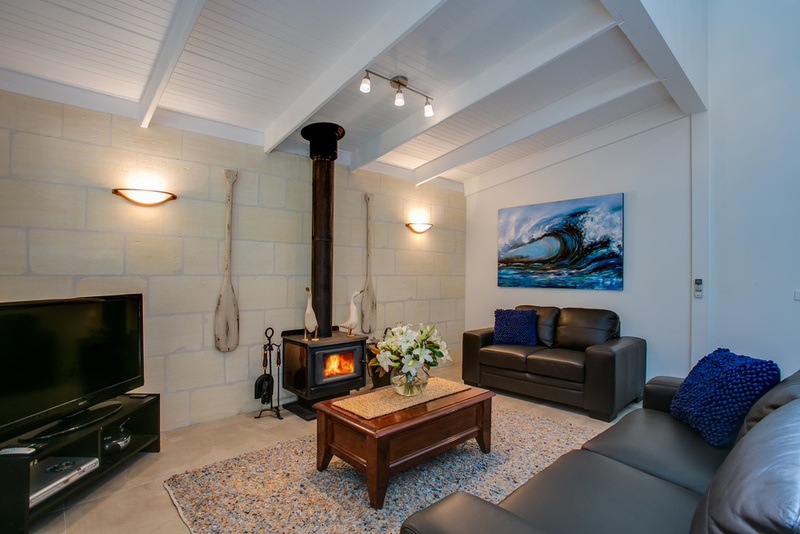 Enjoy spacious accommodation at the Crew's Cottage, with an atmosphere that will leave you with magical memories. 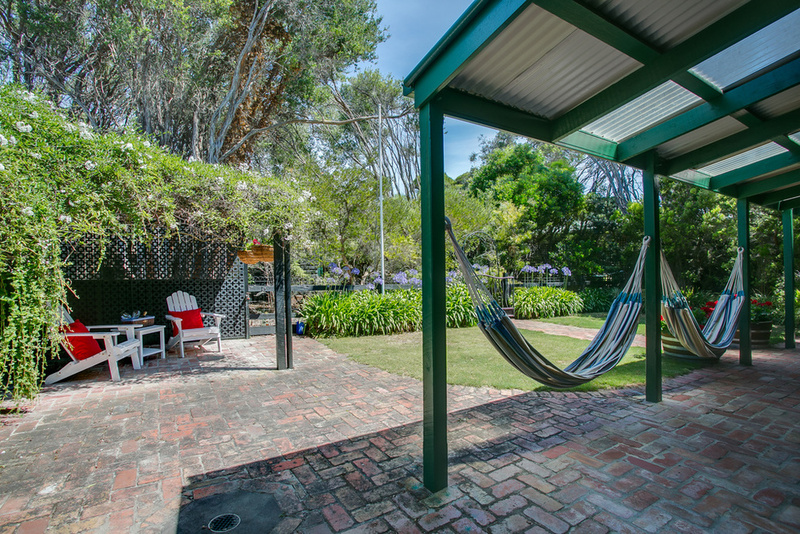 The cottage has been tastefully decorated with a nautical theme, well suited to the area name, "Pirate's Bay". A 5 minute walk through beautiful native ti-trees leads you to coastal walks with incredible scenery and cool ocean breezes. Or choose to take a 5 minute drive to Sorrento and explore the quaint village, boutique shops and fine dining experiences. Blairgowrie front bay swimming beach is a 2 minute drive away. A 12 minute walk to the beautiful low tide lagoon at Bridgewater Bay is perfect for a refreshing dip! 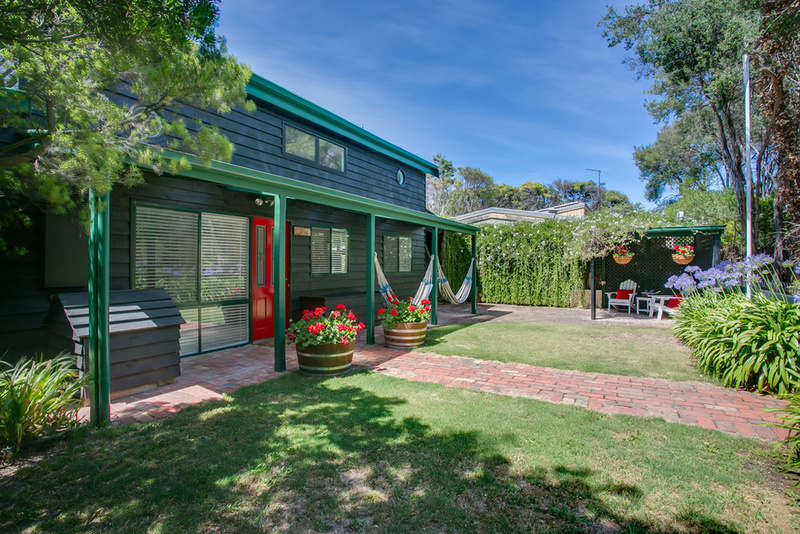 The unique nature of this story-book maritime cottage, matched by the beauty of unspoilt Blairgowrie, make this property one of Mornington Peninsula Seastays' favourites! The cottage itself is fully fenced and private, creating the feeling that you are on your own secret island. Sleeping up to 6 people, The Crew's Cottage is ideal for families and smaller groups aged over 25 years. Comfortable, two-storey open plan living. Fully self-contained dining and kitchen including dishwasher, microwave, fridge, oven and stove top, and all your necessary crockery, cutlery and utensils. A new coffee machine with coffee pods for guests is supplied. Lounge with TV, DVD, CD player, visitor information and local history. 2nd mezzanine sitting area upstairs, overlooking the lounge, includes fold out king single sofa bed. 2 bedroom, both with ensuites. 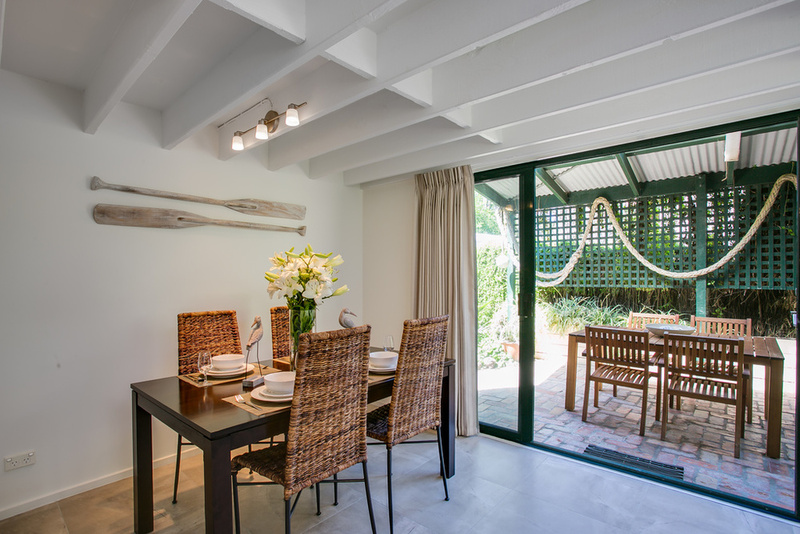 Private, undercover outdoor barbecue area with dining setting, positioned in private courtyard with garden outlook. 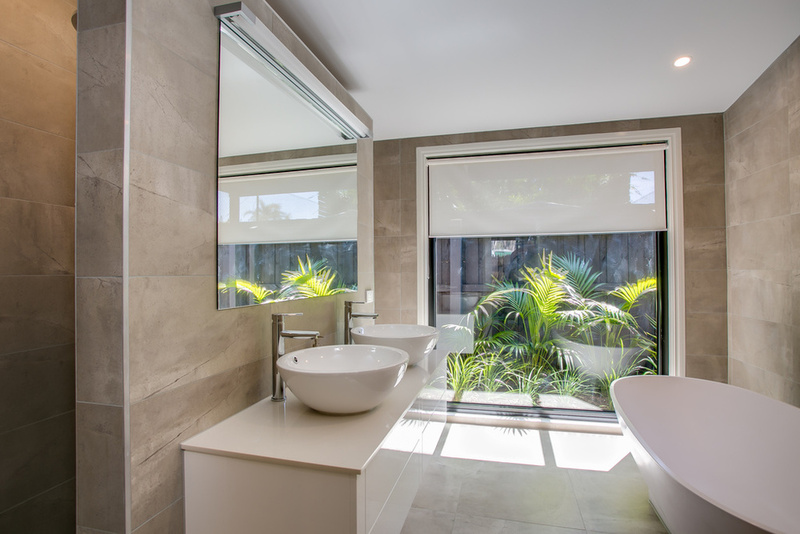 Split system air conditioning, ceiling fans, Coonara wood fire, all set to go, ensuring a comfortable stay all year. Laundry facilities including iron, board, clothes horse, line and washing machine. Under cover parking - one vehicle only. Street parking available for additional vehicles. 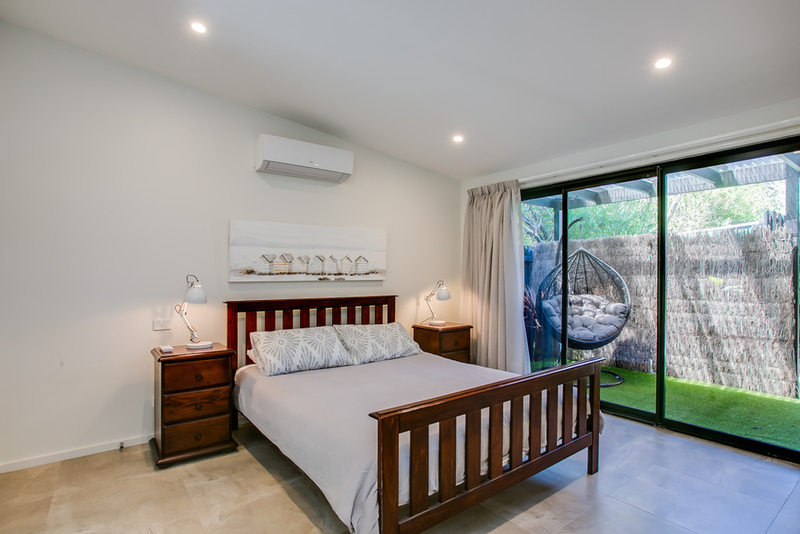 Bedroom 1 (downstairs - sleeps 2): Main queen bed featuring split system and double sliding doors leading to peaceful garden area. 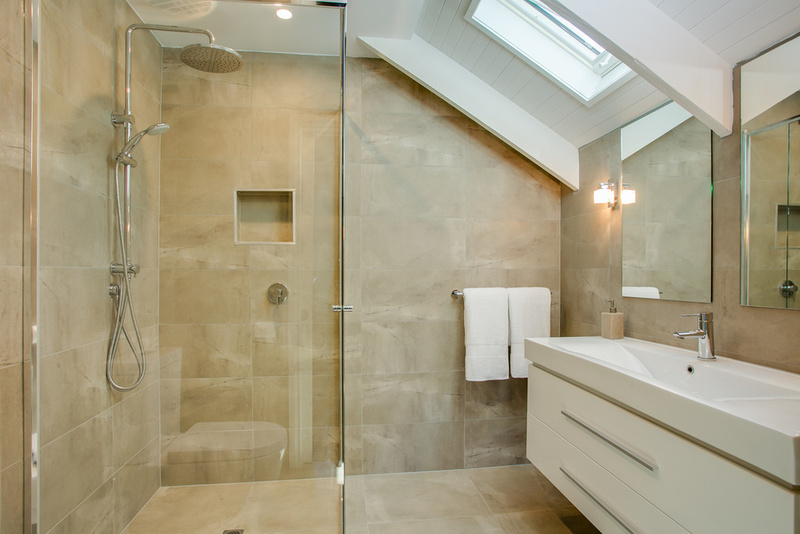 Ensuite with shower, toilet, double vanity and luxury soaker bath. Bedroom 2 (upstairs - sleeps 3): Queen bed + single bed and ensuite featuring shower, toilet and vanity. Sitting room - mezzanine level (sleeps 1): Fold out king single sofa bed. NB: Guest sleeping on sofa bed will need to access bathroom through Bedroom 2. If you require accommodation for more than 5 you can book the adjacent Captain's Cabin, sleeping an extra 2. All tariffs are BYO linen. Please BYO top and bottom sheets, pillowcases, towels and teatowels. Quilts and pillows are provided.